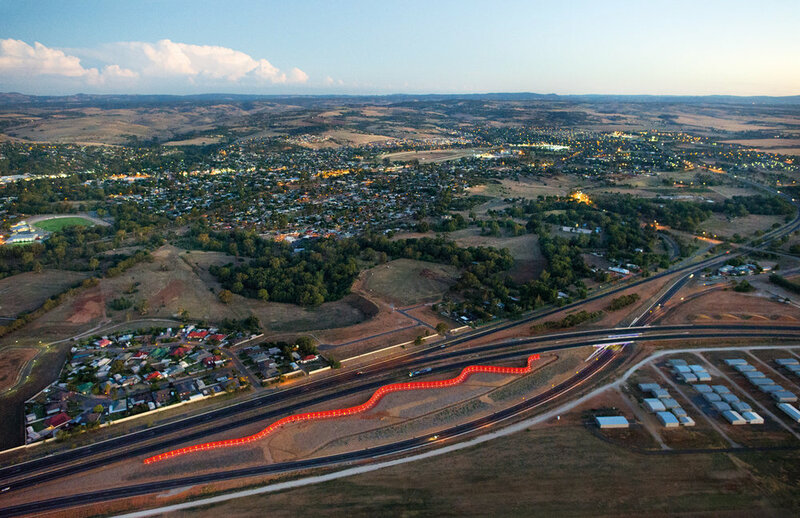 Robert Owen was the artist in a collaborative team led by Taylor Cullity Lethlean for the urban design and public art interventions along the entire 23 km length of expressway, demonstrating a high level of detail not typical for an infrastructure project and setting a new benchmark for such infrastructures. 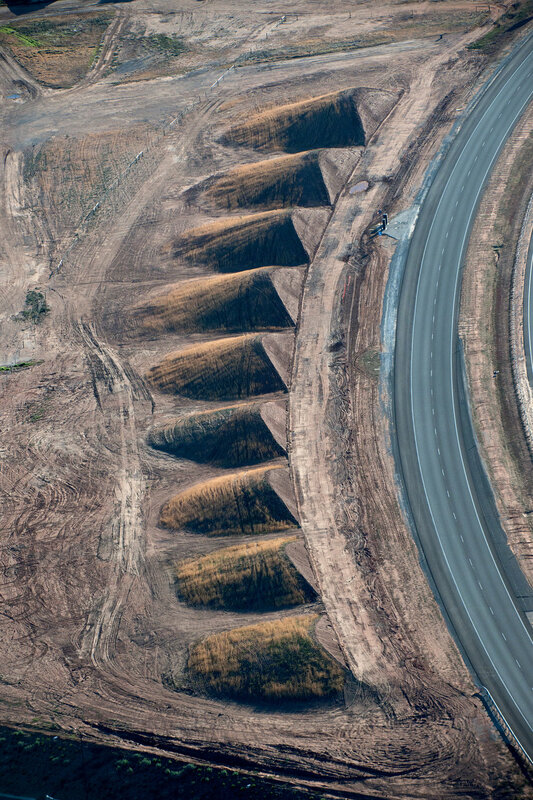 The conceptual drive was to create a landscape experience that was sensitive to the expansive plains context. Plantings and bold artistic interventions related to the cultural and environmental history of the site. 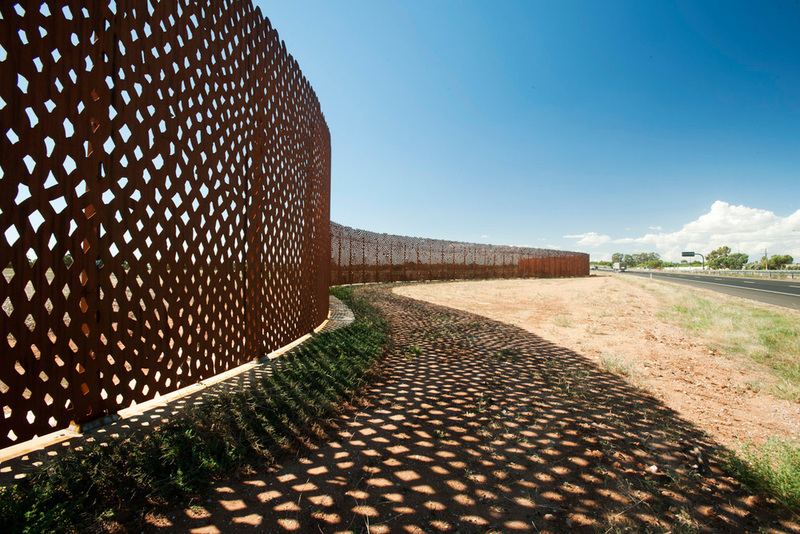 Snake in the Grass, (laser cut corten steel ‘snake skin’) and Reverse Perspective Mounds (‘scale’ shaped earthworks) were the focus of the art component, integrating local memory of the native red belly black snake into the landscaped forms.